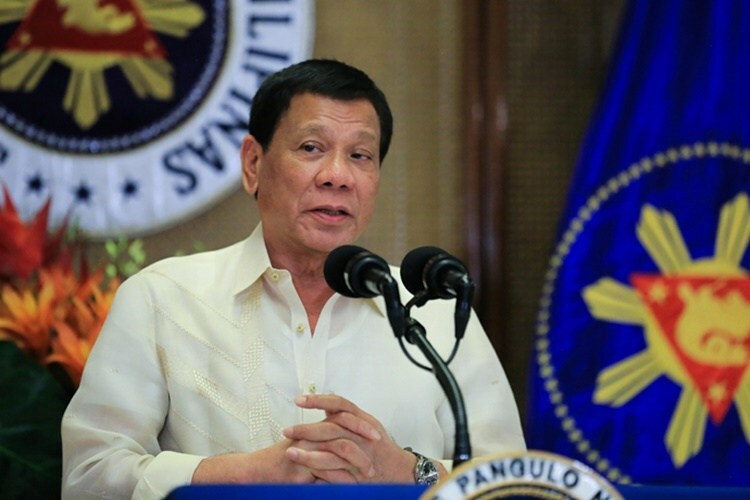 MANILA -- With many of the government’s achievements already highlighted in the three-part pre-State of the Nation Address (SONA) forum, President Rodrigo Roa Duterte is expected to articulate in his third SONA on Monday the essentials of what his administration will do in the next 12 months to achieve the people’s desire for genuine change. Presidential Spokesperson Harry Roque made this statement as the Malacañang Palace released on Saturday night the government’s key achievements for the last two years. Roque said the third SONA, which Duterte has promised to read in not more than 35 minutes, is expected to be “a continuation of his two previous SONAs”. “As the Father of the Nation, President Rodrigo Roa Duterte will once again articulate the people’s desire for genuine and meaningful change,” Roque said in a press statement. Roque said the government’s achievements were presented in the three-part pre-SONA forum, making the 2018 SONA different from the President’s two previous SONAs. “Traditionally, the SONA is a highlight of achievements of the previous year but this year’s SONA is all about the essentials on what PRRD intends to do in the next 12 months of his Administration,” Roque said. In “The Duterte Administration: Year II” accomplishment report, the government reiterated its commitment to put an end to “the decades-old problems on illegal drugs, criminality, and corruption in government”. “It (the administration) also continues to initiate efforts to address poverty and inequality across the nation,” the SONA report stated. The report added that “the crucial reforms that were instituted by the Duterte government continue to gain ground, which in turn paved the way for a stronger economy and for more sustainable and inclusive socio-development initiatives”. The war on drugs has resulted in the arrest of 147,802 drug personalities in 102,630 anti-drug operations and the seizure of PHP21.29 billion worth of illegal drugs, while 6,562 barangays have been declared drug-free. The Philippine National Police reported a 46.95 percent decrease in index crime volume from 401,112 recorded from July 2014-June2016 to only 212,773 tallied from July 2016-June 2018. The Duterte administration continued to engage China on the West Philippine Sea through high-level visits and meetings, including the Bilateral Consultation Mechanism or the BCM. “These efforts seek to improve the ability of both sides to manage developments in the WPS so as not to escalate tensions; to wider access of Filipino artisanal fishermen in Scarborough Shoal; and (the) additional measures to protect our environment and marine ecosystem,” the SONA achievement report stated. Duterte’s non-confrontational approach has led to the revival of the Philippines-China relations. On May 15, 2018, Duterte signed Presidential Proclamation 489 declaring Philippine Rise as Marine Protected Area while a ceremonial send-off for the country’s premier marine scientists, as well as the casting of buoy and the Philippine Flag were held the following day. Since Duterte assumed office, the Armed Forces of the Philippines was able to conduct focused operations against the Communist Terrorist Group (CTG), which resulted in the neutralization of approximately 8,700 CTG personalities and recovery of 2,246 firearms. From May 23 to Oct. 23, 2017, government forces conducted combat operations which led to the defeat of ISIS-inspired terror fighters and prevented the establishment of a “wilayat” or an ISIS province in Marawi City. Duterte signed Administrative Order No. 3, creating the inter-agency Task Force Bangon Marawi to ensure the recovery, rehabilitation and rebuilding of the war-torn city. The government’s efforts to achieve peace in Mindanao has gained significant ground with the expected signing of the Bangsamoro Basic Law (BBL) before the President’s SONA on Monday. To address graft and corruption in the government, the Office of the Cabinet Secretary has instituted the Citizens’ Complaint Hotline 8888 that has 93.2 percent resolution average and launched emergency hotline 911. In support of the anti-corruption drive, the Presidential Communications Operations Office has launched on November 16 the People’s Freedom of Information (FOI) manual covering all national government agencies as well as government-owned and controlled corporations and state universities and colleges. The Department of Budget and Management, meanwhile, reported that 90.6 percent or PHP3.414 trillion of the PHP3.767-trillion budget have been released as of the first half of 2018, surpassing the 84.3 percent performance in 2017. The Department of Finance, on the other hand, reported higher tax and revenue collections in the first five months of 2018 with the Bureau of Internal Revenue hitting PHP827.9 billion collection, up by 14.76 percent compared to the same period in 2017. The Bangko Sentral ng Pilipinas reported significant foreign direct investment (FDI) inflows amounting to USD2.2 billion, a 43.5 percent increase from USD1.5 billion in the same period last year. The Overseas Filipino Workers (OFWs)’s remittances have improved by 4 percent from 2017’s USD10.03 billion to USD10.4 billion from January to April 2018. In December 2017, Duterte signed into law Republic Act No. 10963, also known as the Tax Reform for Acceleration and Inclusion (TRAIN) Act, the first package of a comprehensive program that will make the tax system simpler, fairer, and more efficient. TRAIN proceeds are being used to pay “for better education and healthcare for all Filipinos and fund world-class infrastructure” such as the 79 flagship projects under the ambitious “Build, Build, Build” program. Duterte’s foreign trips particularly in China and India have resulted in huge amount of investments and important bilateral and trade agreements that are expected to create at least 45,000 new jobs. He used his official travels abroad to meet and inform OFWs about his plans for them, which included the repatriation of thousands of undocumented/overstaying Filipinos and the signing of a Memorandum of Agreement that will provide legal protection to over 250,000 Filipinos working in Kuwait. Duterte signed Executive Order No. 44 creating the Overseas Filipino Bank that seeks to cater to the needs of OFWs. With the intervention of Duterte, the Ninoy Aquino International Airport has been removed from the list of 20 worst airports and the world. The Duterte administration has the boldest, most ambitious infrastructure program in history having a 5.4 percentage share to GDP under the 2017 budget, far from the 2.5 percentage average share of the past six administration in 50 years. To boost trades and investments, Duterte signed Republic Act No. 11032 or the “Ease of Doing Business Act” on May 28, 2018 while the number of registered micro enterprises under the Barangay Micro Business Enterprises (BMBEs) has reached 28,531 as of April this year. The Philippines remains one of the fastest growing economies in Asia as the GDP for the full year 2017 hit 6.7 percent and projected to reach 7 to 8 percent in 2018. The National Economic Development Authority (NEDA) reported that as of April 2018, 625,000 more jobs were created. Of this number, 605,000 Filipinos were employed in manufacturing and construction as the NEDA Board approved 48 projects from Jan. 2016 to Feb. 2018. From July 2016 to June 2018, the Department of Agrarian Reform (DAR) reported that 58,608 agrarian reform beneficiaries (ARBs) have registered for certificate of land ownership awards (CLOAs) covering 50,431.88 hectares of Comprehensive Agrarian Reform Program (CARP) Area. The Duterte administration has also boosted the agriculture sector by providing insurance protection to 2.861 million farmers and fisherfolk; 5,082 fishing boats and 2,046 bancas to fisherfolk beneficiaries; irrigation network services; and farm assistance and machineries. In the education sector, close to 900,000 Filipino students who enrolled in 112 State Universities and Colleges (SUCs) for academic year 2017-2018 benefitted from the PHP8 billion Grant of Free Tuition in SUCs while kindergarten enrolment has increased from 65 percent in 2016 to 84 percent in 2017. Around 1.3 million students enrolled in SUCs and local universities and colleges (LUCs) will finally enjoy free tuition and miscellaneous fees beginning academic year 2018-2019 while 300,000 poor students will also earn tertiary education subsidy apart from free tuition and miscellaneous fees through CHED’s Unified Financial Assistance System for Tertiary Education Act (UNIFAST). The six-month closure to give way to th rehabilitation of Boracay Island has highlighted Duterte’s concerns for environment protection. At least 64 percent of Filipinos agree with the government’s temporary closure of Boracay which Duterte has described as ‘cesspool’ due to its deteriorating wastewater management that has affected the once pristine waters of the famous tourist beach destination. Aside from wastewater management system, Boracay rehabilitation includes removal of illegal pipes, clearing of illegal structures, road widening, completion of subsidence hazard mapping of sinkholes, rehabilitation of forest and wetlands easements and management of solid waste.